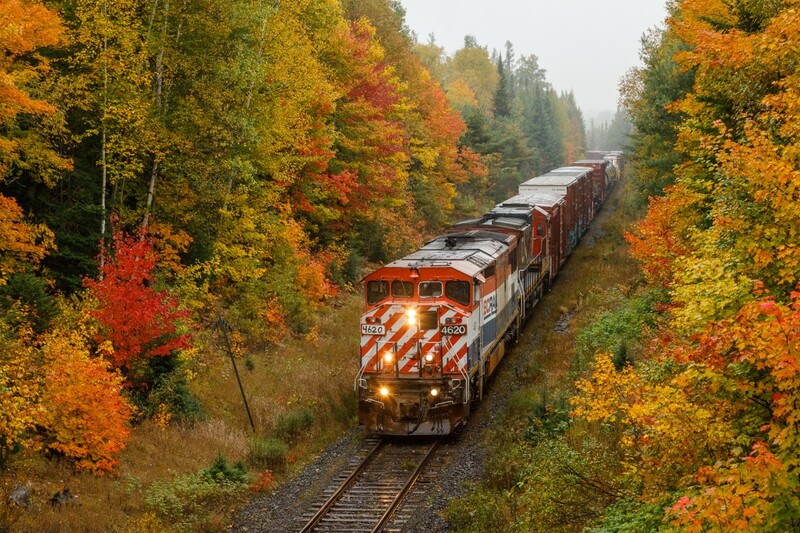 Railpictures.ca - Ryan Gaynor Photo: Toronto to North Bay train no. 451 hustles along CN’s scenic Newmarket Subdivision at Scotia, ON. Can you see why this is my favourite time of year? | Railpictures.ca – Canadian Railway Photography – photographie ferroviaire Canadienne. Caption: Toronto to North Bay train no. 451 hustles along CN’s scenic Newmarket Subdivision at Scotia, ON. Can you see why this is my favourite time of year? Spectacular composition! The fall coulors are caught beautifully! Well done! Just one note: I thought that 451 was a night train. Did this change? Beautiful Work Ryan Love your photos !